Bart Beale is a Friendswood native who runs Beale Corp LLC, specializing in municipal, corporate and residential reforestation. Beale Corp is a large wholesale tree farm owned by Bart Beale of Friendswood, TX. Bart Beale and Beale Corp have decades of experience serving home builders, architects and other wholesale clients throughout the Greater Houston Area. BealeCorp, run by Bart Beale of Friendswood, TX, will work to incorporate various forms of forestry into any type of project you have or are looking to have in the future. They have experience with municipal entities, engineers, planned developments, homebuilders, general contractors, landscapers, turnkey vendors and individuals. In this time of “going green”, we can provide you with aesthetically pleasing solutions for your tree needs while observing the scope of your budget. According to Bart Beale, BealeCorp prides itself on bringing life and beauty to you and your surroundings through nature while meeting your environmental conservation demands. Bart Beale runs BealeCorp LLC. BealeCorp is a reforestation company that has a large variety of trees that are grown on their own tree farm. The majority of the them have been nurtured and grown for over 8 years to be prepared for transport to a new home. 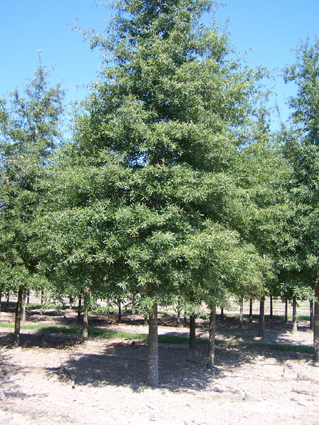 Here are some examples of some of the most popular, and successful growing trees in Texas. All are grown in native Texas soil for between 6-8 Years in the ground on our various farms. All hardwoods are 4-6″ in caliper. They equate to a little over a 300 gallon tree. Copyright © 2019 Bart Beale Friendswood Texas. All rights reserved.